The Great Debate – which MBA is the Best – NUS NTU SMU ? If you have been looking for MBA in Singapore then there are certainly many universities offering Executive master programs and you can certainly look forward to attending them. There are some universities that you will actually be able to count on fingers as far as MBA in Singapore is concerned. NUS (national university of Singapore), NTU (Nanyang Technological University) and SMU (Singapore Management University are probably some of them. All the universities are renowned when it comes to offering MBA programs but comparison before joining either of them is what the young MBA aspirants are and should be doing these days. NUS (National University of Singapore) are believed to rank among one of the best universities that offer executive MBA programs in Singapore and are good for the MBA aspirants looking into MBA in a more global prospective. Further it goes without saying that the international exposure is little better than many other universities that claim to stand in its league. NTU (Nanyang Technological University) works for preparing the students for a global set up which covers interesting programs right from science and technology to business. Students are ensured to be learning the skills for setting up their foundation as entrepreneurs and leaders of tomorrow. The university is concerned with the multidisciplinary research and development. Students from over 40 countries are joining as this university is known for the generation of ideas and research. SMU (Singapore Management University) located in the heart of the vibrant city of Singapore gives you the opportunity for completion of executive master programs in just 13 months. This can be interesting for the ones who are looking for a rapid degree completion via a good platform having a global recognition too. At SMU they offer an interactive session of learning and prepare you for the challenges you are likely to face in corporate world. Participative and interactive environment at SMU is believed to produce a breed of professionals that are a need for carving a niche in the global world for success. In a survey, NTU has been recently ranked 24th in the MBA programs all over the world. 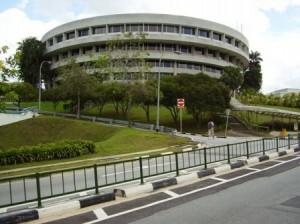 NUS also were among the top 40 MBA universities expected to be growing at a faster pace. Among the other multiple surveys the ranking is certainly something that the young MBA aspirants can’t afford to overlook. With the popularity, need, and demand of the executive masters programs the universes are vying for preparing their students to meet the requirements of the flexible and real corporate world. For students seeking more than just a ‘classroom learning”, one key criteria is the relevance of the curriculum in today’s rapidly evolving business environment. Prospective students are strongly recommended to conduct extensive research on the various key indicators of successful business schools making a decision. Also they might be interested to explore other recognized MBA programs which are available in Singapore including the City University of New York EMBA, Arcadia MBA and SUNY MBA etc. Aventis School of Management is a leading Graduate Business School in Singapore which is an affiliated member of the EFMD and ECBE providing Executive Master Programs. Private Schools – How Do You Choose the one that’s Right for You?